the little guy is obsessed with cars. he sleeps with them, lines them up around his plate, hoards them in his pockets. 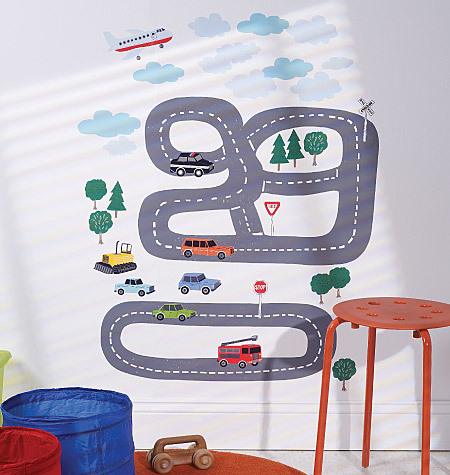 i got him this wall decal for his room so he can drive his cars all over the ikea carpet and then up the wall. it's great because it is repositionable/reusable - great for a rental home.